Mark "Magnifico" Magsayo wins the fight against a tough Mexican challenger Ramiro Robles Today September 25, 2016 (PHT) at StubHub Center, Carson California. Magsayo started the fight aggressively and scored a knockdown in the second round. Magsayo throwing a lot of power punches but the Mexican seems very tough and in condition. Magsayo scores a knockdown again in the 7th round but the Mexican still standing and fighting toe-to-toe against Magsayo. The Filipino prospect begins slowing down in the 8th round but still fighting, luckily the Mexican is not a hard hitting and Magsayo was never hurt in the fight. The Mexican tried to make an impact when he saw Magsayo gases out but the Filipino boxer made a smart move by changing his brawling style to a technical fight. 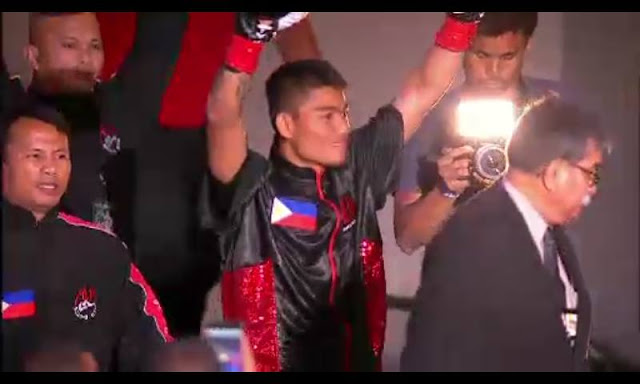 Magsayo decisively wins the fight via unanimous decision (119-107, 118-108, 120-106). But he failed to impress his Filipino fans due to his stamina issue. Magsayo improved his record to 15W(11KO).